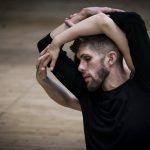 Mike’s class draws influence from a wide range of techniques, from Cunningham to Horton and his wide breadth of performative and experience from repertory to more explorative improvisations. The body as an athletic, intricate and ever changing tool has long inspired Mike to create physically dynamic, detailed and exciting material that pushes the body through space and time to its fullest potential. The class will begin from the floor exploring our root and base as we then rise to fly through the space with joy, a sense of drive and wonder of what the body can achieve.